Zante is becoming one of the most popular holiday choices for clubbers seeking an easy summer getaway. sand, sunshine, nightlife and boat party’s to entice clubbing fanatics from all over the world. Full Moon Party has long been established as Zante’s Biggest and ONLY Beach Party, and now we’ve added DANNY T as our resident DJ/Host! We can’t wait to show you the fire, the buckets and the giveaways! 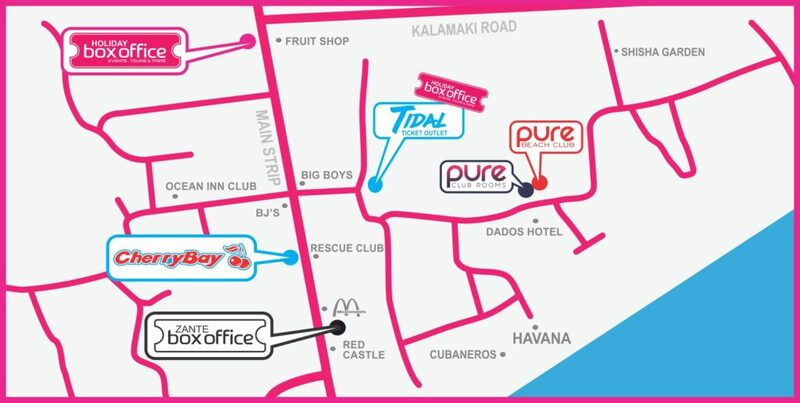 Every Tuesday, Pure Beach Club fly out some of the hottest and most current International acts to perform live on their state of the art stage in the heart of Laganas. The atmosphere is like nothing else Zante has to offer, an absolute must! The infamous Champagne Spray, hosted by Pure Beach Club throughout the summer. With over 15,000 attendees each year and FREE Champagne for everyone, the event has established itself as one of the island’s biggest. Bring out your glitz and glam side with Glitter & Gold, prizes for best dressed, FREE glitter stations, glitter canons and a discounted bar are the recipe to an amazing Friday night, pack your Gold! When the club doors open at midnight, get ready to Party. Forget about all the others you have been offered. Tidal Zante is no ordinary boat party! Voted Zante’s Number 1 Boat Party in 2018… Bigger and better than ever for 2019! With the resorts finest DJ’s, you won’t be dissapointed. 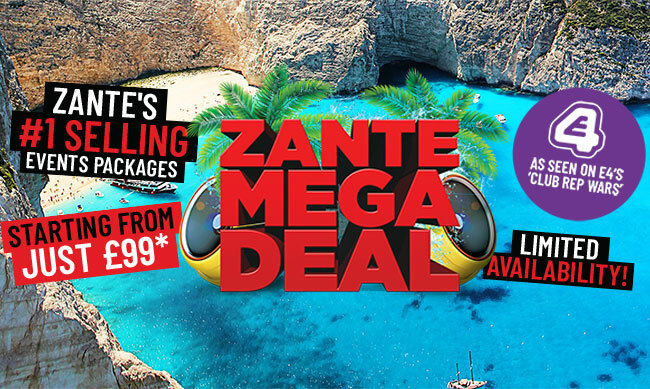 Zante Mega Deal will tick off everything you want to do on holiday and leave you with plenty of change! 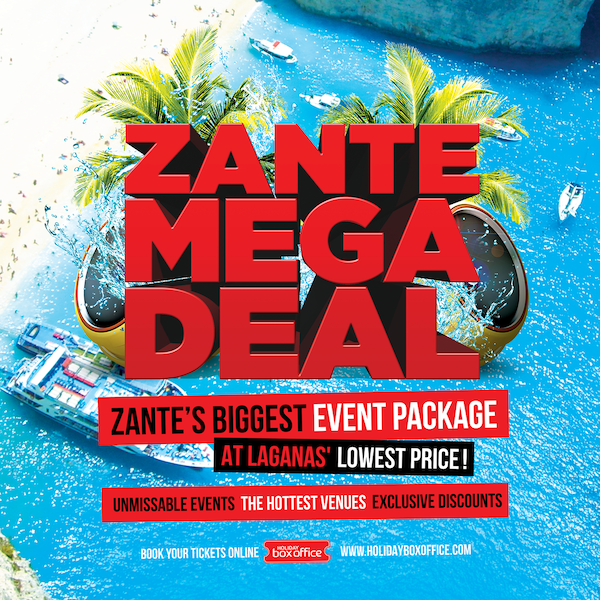 Zante’s top selling package includes exclusive events & venues, you can even customise your Mega Deal with other TOP Zante events!